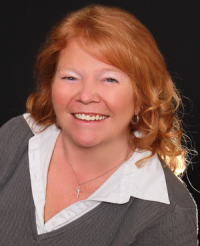 "I would highly recommend working with Theresa Curtis for all Real Estate needs! Thanks Rita for helping me buy." "Theresa did a great job in helping us sell our home due to retirement. Thank you for all of your help!" "Thank you to Theresa Curtis for helping us downsize and selling for us!" - Mr. & Mrs. Frances W.
"Theresa - Thank you so much for everything that you did to sell our parents home. I truely appreciate that you always kept us informed on the progress, responded to our questions so quickly and stayed persistant until the close! If anyone asks, I will tell them we were very satisfied and highly recommend you! Thank you!" "It was great to work with Theresa on finding us a new home! She answered all of our questions and we are very thankful." - Nathan & Sherry A. "We found Theresa from her website and are very happy with the service we recieved when she was listing and selling our home. We greatly appreciate the work she put into it." "Thank you to Theresa Curtis for all of her assistance with sale of our property. We are very happy with the service and professionalism we received and would recommend Theresa and BHHS Select Properties in the near future." "We have had experience with Theresa and knew she would be the perfect one to help us buy land. Thanks again Theresa!" "Thanks to Theresa for assisting me in buying my first house. I was referred to her and she answered all my questions and would recommend to my friends in the future!" "I would recommend Theresa Curtis for anything Real Estate. I was referred to her to purchase my first home and I was so happy with the service and experience that I received. She answered all of my questions and was amazing. Thanks again! "Love Theresa! Thank you for the amazing service in helping purchase more land! I greatly appreciate you!" "We much appreciate all of the hard work and dedication Theresa puts towards her work in Real Estate. She gave us the best when buying and selling. Thanks Theresa!" "Thank you to Theresa Curtis for all of your hard work and help! You are amazing!" "We would highly recommend Theresa Curtis to any friends and family looking to buy. She was great with helping us buy a rental property. Thank you!" "Theresa did a wonderful job! Thank you so much for getting our house sold. We were referred and we would recommend." "Thanks to Theresa for her hard work in selling my home. She was great to work with and I will recommend her to friends in the future." "Thanks to Theresa for helping us sell land that we did not need anymore. She provided good service and we would recommend her to others." Mr. & Mrs. Darren P.
"Theresa did a great job in helping me find and purchase my first home. She answered all of my questions and was there every step. Thanks!" "Theresa was a please to work with! Very responsive and informative."